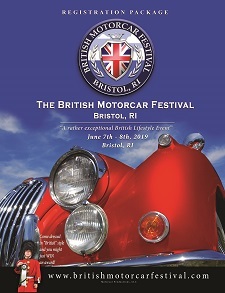 Pre-registration FOR THE bRITISH cLASSIC ENDS mAY 24, 2019. The first 75 pre-registered participants will receive a "meet gift". We will allow Friday Registration from 12:00 noon to 5:00PM. We reserve the right to change the number of Classes offered based upon actual registrations received. 2019 Registration Package and Forms - coming soon!